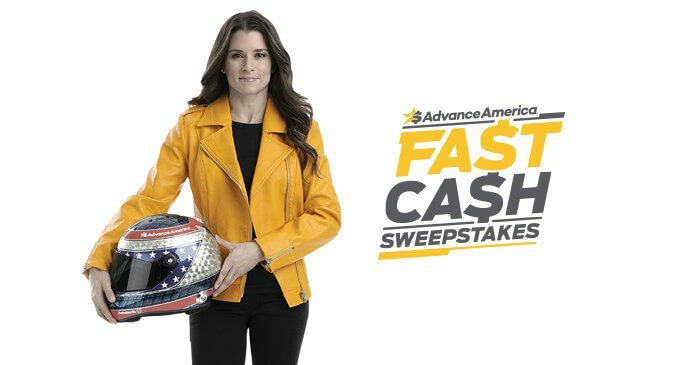 Advance America Fast Cash Sweepstakes 2018 - Win $10,000 Cash! Advance America is offering you the chance to win up to $10,000 to keep you on track with the Advance America Fast Cash Sweepstakes 2018. All you have to do is answer a few simple questions online at www.fastcashsweeps.com and register for the Sweepstakes by May 23rd. The Advance America Fast Cash Sweepstakes 2018 is open to legal residents of AL, CA, CO, DE, FL, IA, ID, IL, IN, KS, KY, LA, MI, MO, MS, NE, NV, OH, OK, RI, SC, TN, TX, UT, VA, WA, WI, & WY, who are 18 years of age or older (OR THE AGE OF MAJORITY IN YOUR STATE OF RESIDENCE, WHICHEVER IS OLDER), at the time of entry. The Sweepstakes begins on Monday, April 23, 2018 at 12:00:01 a.m. (midnight) ET and ends Wednesday, May 23, 2018 at 11:59:59 p.m. ET. Enter one entry per person per day. Total approximate retail value for all Prizes in the Sweepstakes is $20,000. To obtain the names of the winners (available after 6/10/18), send a self addressed stamped envelope to: Advance America Fast Cash Sweepstakes Winners, P.O. Box 2312, Framingham, MA 01703-2312. All such requests must be received by 6/15/18. I want to win !!!!!!!!!!!!!! I sure need to win! For once in my life! Has anyone won in Texas? How can I find out? I hope it will fall on me for one.